It is remarkable how much can change in a few years. From Roger Stone’s ISTC and labour party enforcer, to survivors best friend. 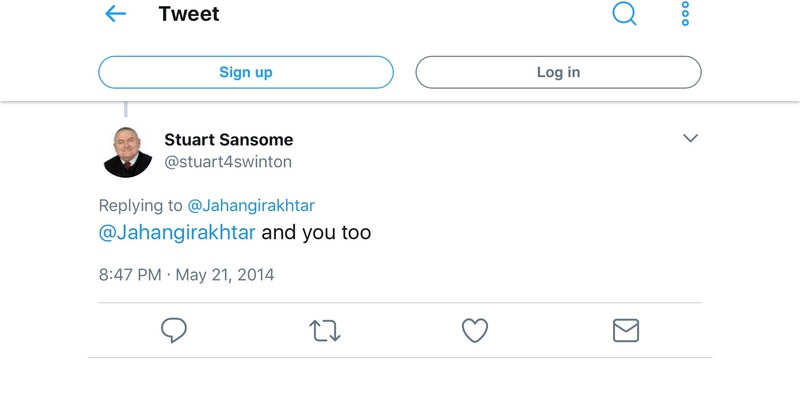 This entry was posted in Abuse of power and tagged Conservatives, Conspiracy, ISTC/Community caucus, Jahangir Akhtar, Plotting, RMBC, Roger Stone, Rotherham Metropolitan Borough Council, Stuart Sansome, Thorpe-Salvin-Cake-Eater by Rik. Bookmark the permalink. He probably needs a torch if his head is stuck up stones bum? Hed only been on two minutes and he was the great white hope, nearly lost that election, funny how hes forgot everything, bet he dunt doesnt say owt anymore about cracking people at work does he. Someone needs to tell bonehead to take that twitter down I knew we were in for fun and games when he got a twitter. Ask him a question about caving into the management on shifts down at Tata. A colleague of mine informed me ex. Councillor Roger Stone and Mr Sansome were both in the Boat Inn at Sprotbro for a quiet chat about 2 weeks ago. I did wonder what bus they caught together to get there because neither own a car. He is still covering for his mates you better believe it. Worthless waste of space and blairite trash sooner we kick him out the better. Jumped on the cooper-balls/flint bandwagon. Sez a lot about his lack of politics. Right wing twerp. Was Roger giving Sansome instructions for Rotherham Labour Group one wonders? Roger was ISTC president and sansome is on the Community Union executive committee. Samsome will do now what he has alas done– what he is bloody told! 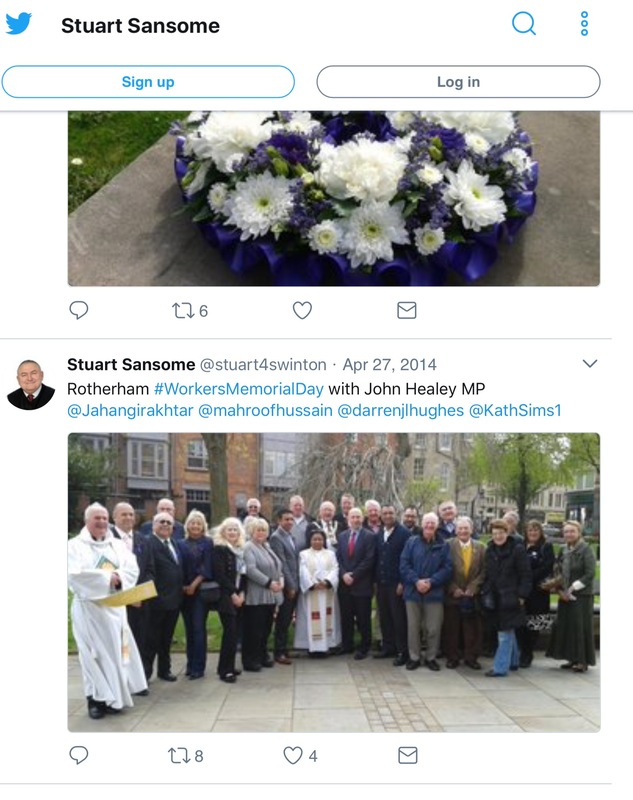 On the second photo, councillor sansome is situated between Akhter and Ali on the bottom row and just below the watchful eyes of Roger Stone and Paul Lakim on the top row. Judge a man by the company he keeps. Peter Wooton top row and McNeeley bottom right. 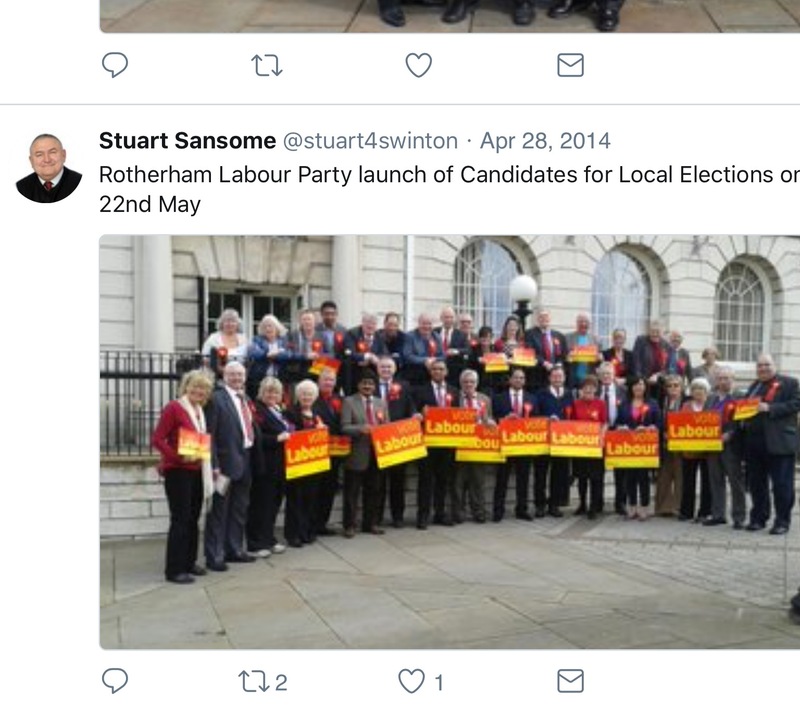 Stuart Sansome is one of the best Councillors people have had in Swinton.call him all you like .he has got more things done .and he will put him self about for the community He will know Roger Stone .and Akhtar he is in the Labour party why do people have to try and rubbish him . Absolute tripe, consistently fails to deliver and his attendance at local surgeries and council meetings is abysmal. no replies to emails all you get at meetings is one word grunting and stories anout the old days. dont know who you are talking about. Isn’t this gentleman on the police and crime panel? The police and crime commissioner after previous failings should be able to reject people like Sansome from going on the panel, totally unsuitable appointment and a lackey of stone. What sensitive information is going back to Roger Stone ? Hes a liability to town feeding back to his mates, get him out, roll on the election. Where is he at full council, never goes to meetings, sits on hos phone all ward meeting, complete waste ofnspace.